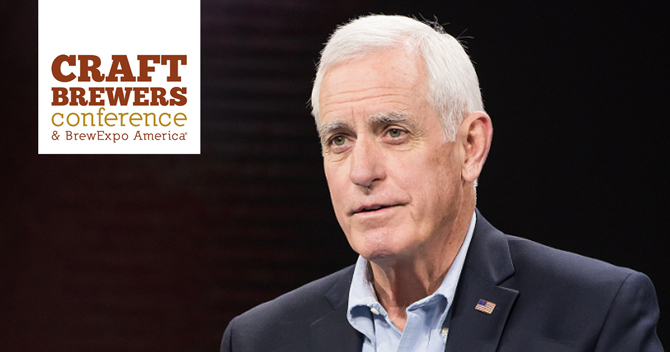 Pete Coors, the chairman of Molson Coors’ board of directors, didn’t appreciate some of the comments that were made about large brewing companies during last week’s Craft Brewers Conference. The annual event — which was hosted by the Brewers Association (BA) and drew nearly 14,000 attendees from across the beer industry to Nashville, Tennessee, for a week of learning and socializing – began with a familiar refrain: “Big beer” is bad. That drew the ire of Coors, the Colorado-beer baron whose family ranks No. 71 on Forbes’ list of the richest American families. In response, Coors, who didn’t attend the conference, penned what a MillerCoors spokesman described as an “open letter” to the BA and two of its key members: CEO Bob Pease and chairman of the board Eric Wallace, who co-founded Colorado’s Left Hand Brewing. “The leadership of the Brewers Association does a great disservice to the entire beer value chain by attempting to pit one part of the industry against another,” he wrote in the letter, which was first published by subscription-based trade publication Beer Business Daily. Coors — who in 2016 “pushed the button” approving Molson Coors’ $12 billion purchase of SABMiller’s stake in the MillerCoors’ joint venture – was responding to Wallace, who had some strong words for large breweries last Tuesday. Coors, who lives in Colorado, where the BA is headquartered, took particular offense to Wallace’s remarks and responded with some harsh words of his own. “You undermine your credibility by pitting us against one another to the ultimate detriment of the entire beer industry,” he wrote. But instead of picking up the phone or sharing his concerns with Pease and Wallace over a beer, Coors pinned his hopes on the pair reading them through a single trade publication — oddly enough, the so-called “open letter” was never actually sent to Pease or other BA officials. “The Brewers Association has not received any communication from Pete Coors,” Pease wrote to Brewbound in an email. Coors’ comments would later be published on the MillerCoors blog, but it was initially only shared with a niche Beer Business Daily audience that pays to access content. However, that spokesman wouldn’t comment on whether MillerCoors considered an email or a phone call to the trade group as a more direct option. As of press time, Pease had not yet responded to a request for additional comment. Coors himself was also unavailable for comment. Brewbound has reprinted Coors’ email in its entirety below.